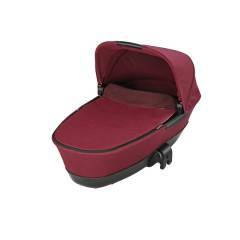 Neatly fitting on our travel system pushchairs, our Maxi-Cosi carrycot creates a contemporary pram for your newborn. Providing a relaxing and comfortable space for your baby, it makes running errands with your little one simple. 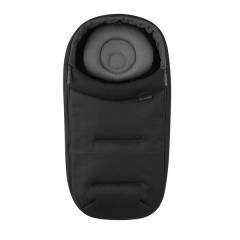 It easily attaches to your Maxi-Cosi Stella or Mura Plus pushchair using the adapters supplied with them. 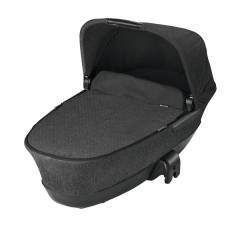 The Maxi-Cosi carrycot also features built in adapters for use with your Maxi-Cosi Elea or Loola. Memory buttons and an integrated handle in the canopy let you remove it again easily with just one hand. 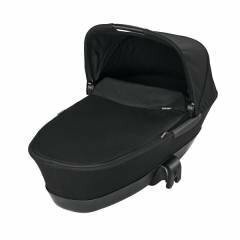 Suitable for use up to the age of 6 months, this carrycot ensures your baby is placed in the recommended lie-flat position. This gives you peace of mind that they are in the optimum position whenever you are out. 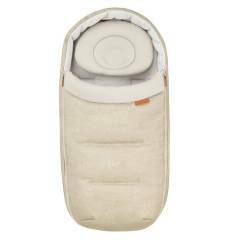 The carrycot is very comfortable, with a double padded mattress, and it creates a relaxing environment for your baby. It protects your child from the weather with high sides, apron and a folding sun canopy. And your baby lies high up, close to you and with direct eye contact, which reassures them you are near. 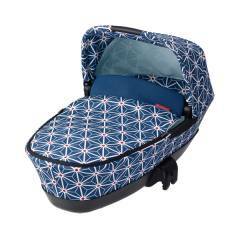 The classic pram shape gets a very modern overhaul when you attach your Maxi-Cosi carrycot to your Maxi-Cosi pushchair frame. A real head turner, you can choose from a range of colours or patterns to match your style. 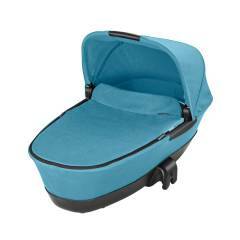 The carrycot comes complete with handy essentials, like a mosquito cover and rain cover. There are also useful features like the fold-flat design to make storage easier when it’s not in use.